In 1919, Winston-Salem was the largest city in North Carolina, and just six years prior, the towns of Winston and Salem had merged. Our major employers included R.J. Reynolds Tobacco Company, J. Wesley Hanes Shamrock Hosiery Mills, and P.H. Hanes Knitting Company. 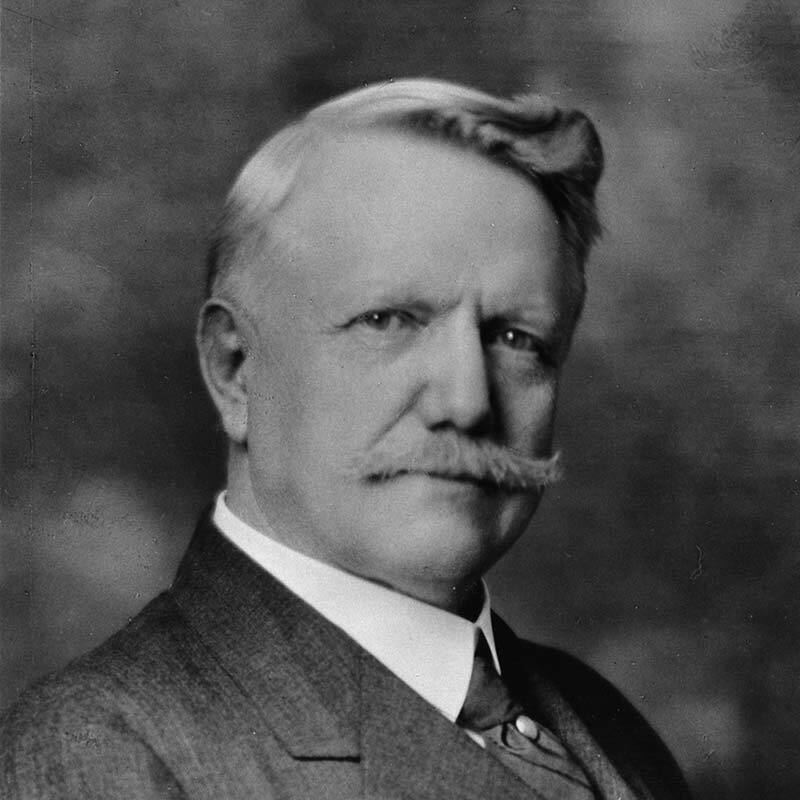 And leading Wachovia Bank and Trust Company was its Salem-born president, Col. Francis H. Fries, who was also a successful textile businessman, industrialist, and railroad executive. On Oct. 14, 1919, Col. Francis Henry Fries contributed $1,000 in seed money to start The Winston-Salem Foundation, the first foundation of any kind to be established in North Carolina. A homegrown pioneer in finance and manufacturing, Fries served as president of Wachovia Bank and Trust Company and felt led to establish a permanent charitable resource that could actively respond and adapt to the community’s critical needs over time. Community trusts, a novel concept initiated in Cleveland in 1914, enabled both wealthy industrialists and civic-minded people of more modest means to pool their resources and leave a lasting legacy. Since Fries’ first gift, thousands of donors have followed suit, knowing that their charitable objectives would be honored and met. 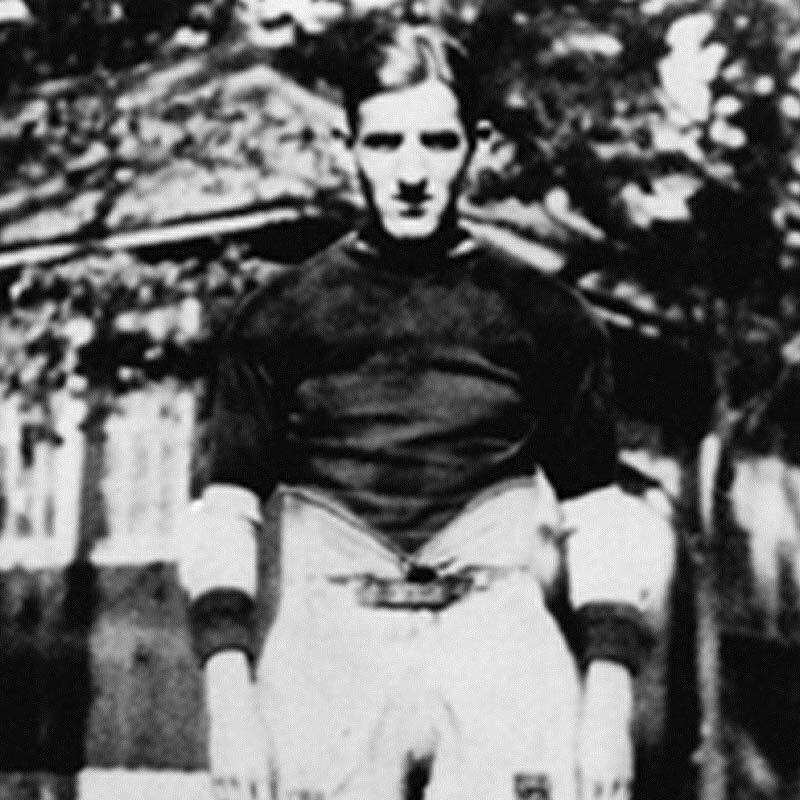 The tragic death of Leo Caldwell, an R.J. Reynolds High School football player, on Oct. 20, 1923, ignited the first widespread interest in the Foundation as a steward of philanthropy for the community. 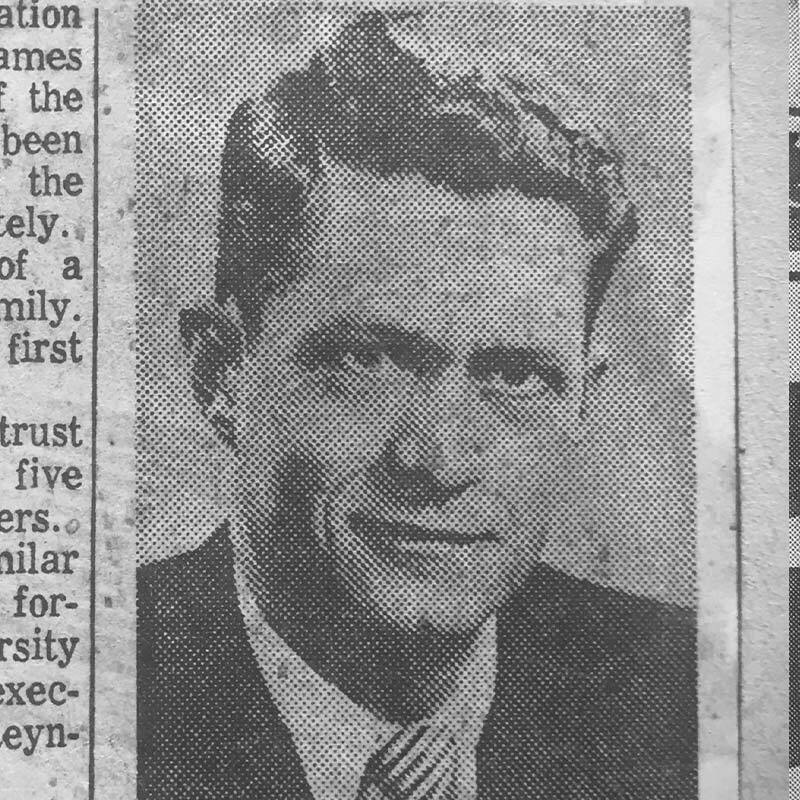 Four days after the junior halfback passed away during a Saturday afternoon game at Hanes Park, an anonymous letter writer to the Twin City Sentinel called for public contributions to the newly established Leo Caldwell Memorial Fund. Donations poured in from generous individuals and groups across the city, with gifts ranging from $1.50 by a fifth-grade class to $2,000 from the Civitan Club. The Foundation volunteered to administer the fund, which received upward of $10,000 and marked the beginning of its student aid program. Over the years, Foundation funds have helped more than 15,000 local students attend college. Today over $1 million in scholarships are awarded annually. Modest donations can make a big impact, and there’s no better example of this than The Book of Memory, which is on permanent display at the Foundation’s offices. Established to preserve the names of those memorialized, these beautiful leather-bound books now contain more than 9,500 names. In the beginning, income produced by these memorial gifts was invested in just one gift to the community. Today, donations to The Book of Memory are far-reaching and broadly felt, and give the Foundation greater flexibility to meet the community’s evolving needs through Community Grantmaking. Allan Hutcherson was a man of modest means and immeasurable generosity. 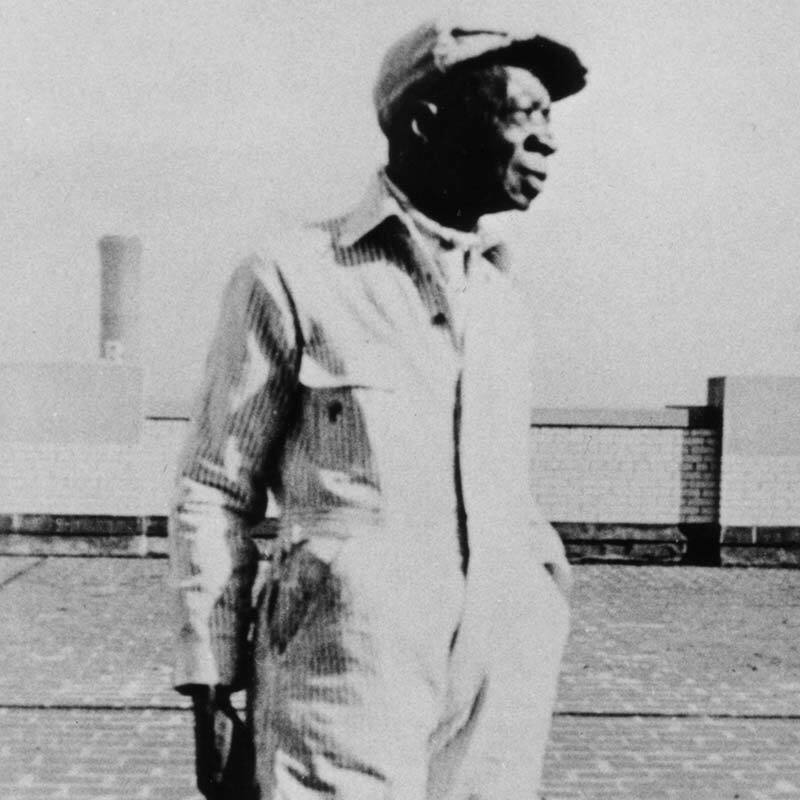 When he died in the 1940s after many years as a custodian at R.J. Reynolds Tobacco Co., he left his entire estate of $6,700 to the Foundation to establish an endowment fund to help African-American children. The Allan M. Hutcherson Fund supported Memorial Industrial School until it closed in 1974, after which the Foundation broadened the endowment’s impact to support other community programs closely linked to his original intent. Today children continue to benefit from Hutcherson’s generous spirit through a wide variety of programs that give artistic, athletic, educational and leadership opportunities to youth. Since that first gift, many other community members of greater and lesser means have channeled donations to the Foundation to help build a future where everyone has the opportunity to contribute to the strength, productivity, and well-being of Forsyth County. Realizing it needed to keep up with dynamic growth in volume and leadership activity, the volunteer-led Foundation Committee hired its first staff member—Executive Director James A. Gray Jr. In the ensuing years, the Foundation has played an expanded role in the community by paving the way for new programs and initiatives to better serve the needs of Forsyth County’s residents. The governing board has grown from an initial five members to today’s 13-member Foundation Committee, and today a staff of 28 employees manage and lead the work of the organization. In the 1980s, the Foundation partnered with Sara Lee Corporation and the Crosby National Celebrity Golf Tournament, administering proceeds from the annual event at Bermuda Run Country Club to support collaborative community programs aimed at drug abuse prevention. 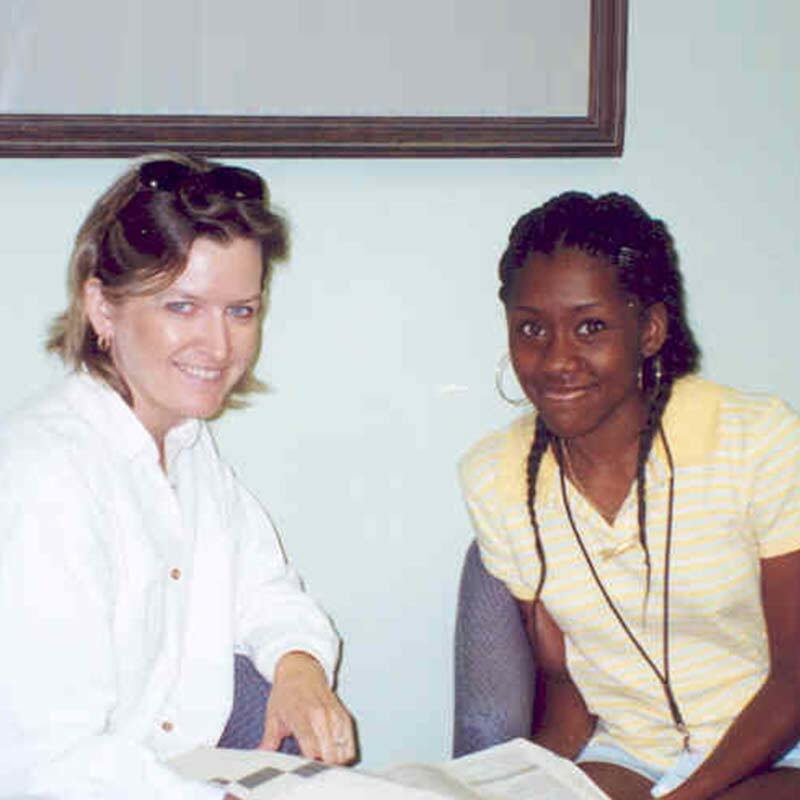 This eventually spawned Crosby Scholars to provide support for local students to attend college; the organization spent several years under the Foundation’s umbrella before becoming its own nonprofit. The Foundation’s long history of locking arms with new or emerging nonprofits also included a $100,000 investment in the Council on Drug Abuse in 1972. This early experience of providing “venture capital” to a nonprofit with a unique approach to solving a local problem took root and grew. The Foundation also started the Neighbors for Better Neighborhoods program to give grassroots leaders the resources they needed to self-determine their own sustainable community development. NBN became a freestanding nonprofit in 1998 and continues to support asset-based programming in local neighborhoods today. What began as a low-key afternoon event in 1992 launched a tradition that continues today: the Foundation's annual Community Luncheon. Held in early May each year, the much-anticipated, often sold-out event brings together hundreds of corporate, government, education and nonprofit leaders, as well as interested individuals and community members. 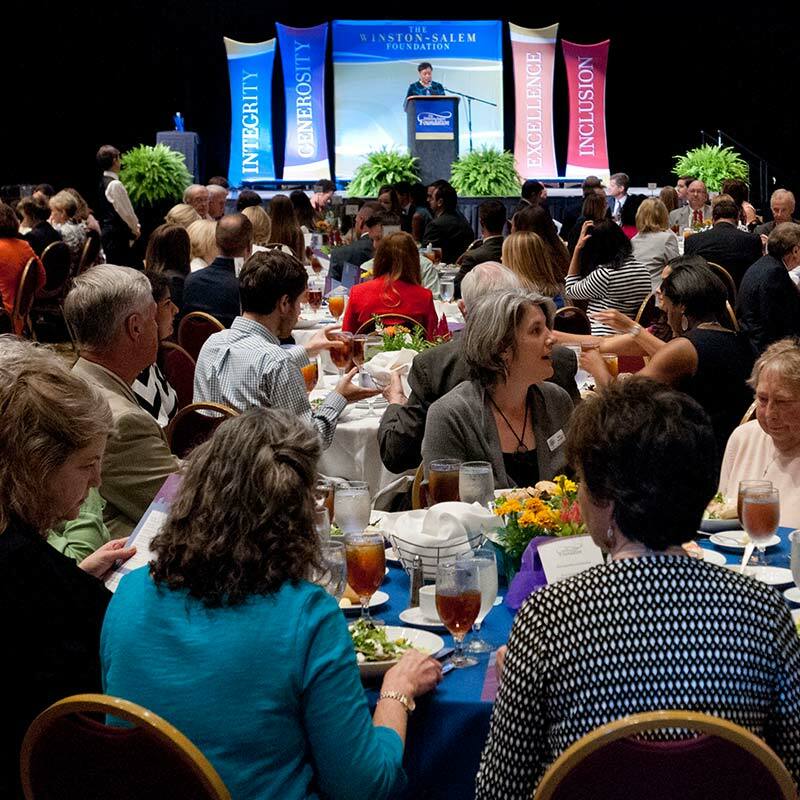 Since its inception, annual attendance has nearly doubled to more than 1,200 guests who fill the Benton Convention Center to network and visit, to learn more about the Foundation's latest news, to celebrate the recipients of The Winston-Salem Foundation Award and ECHO Awards, and often to take away new insights from thought-provoking keynote speakers. Past topics have ranged from social capital building to asset-based community development and local food systems to unconscious bias. In the 1990s the Foundation began to refocus its vision, launching an ambitious community-wide effort to cultivate new funding for grantmaking. 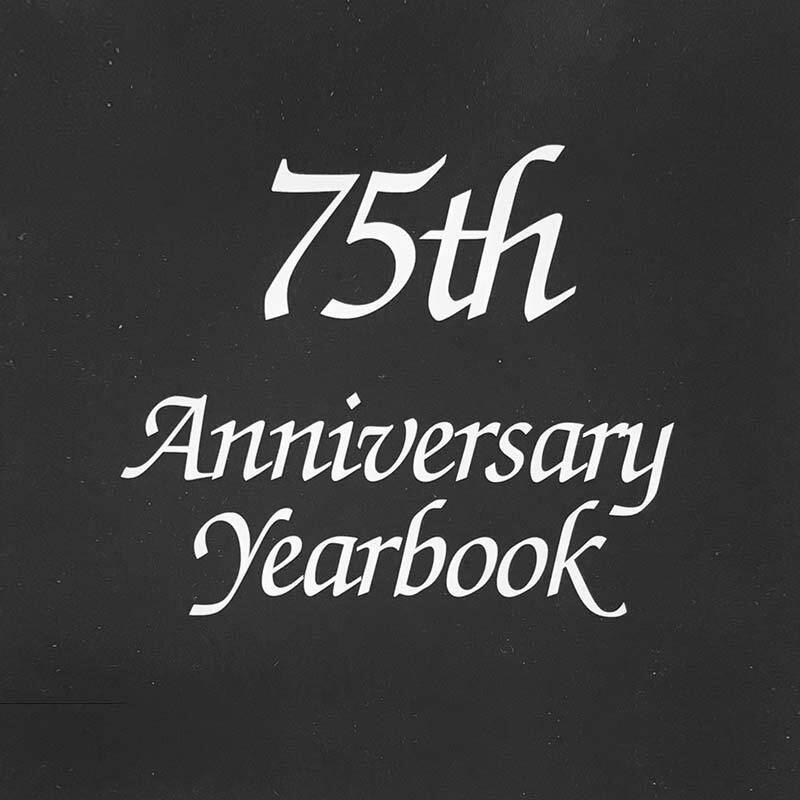 The goal: to raise assets to an all-time high of $75 million by the 75th anniversary. Friends of the Foundation hosted events and receptions to spread the message of philanthropy. The first community meeting was organized to share information about programs and plans, a tradition that continues annually today. Not only did the campaign meet its ambitious goal, it propelled the Foundation along a path of rapid growth over the next 25 years. By 2012, assets rose to $300 million; by 2016, to $400 million. In 2017, with assets of $605 million, the Foundation ranked as the 37th largest community foundation in the U.S. by assets. Believing that “human assets” are critical to a community’s ability to achieve positive change, in 1999 the Foundation made a bold decision to invest heavily in a new social capital initiative called ECHO (Everyone Can Help Out). 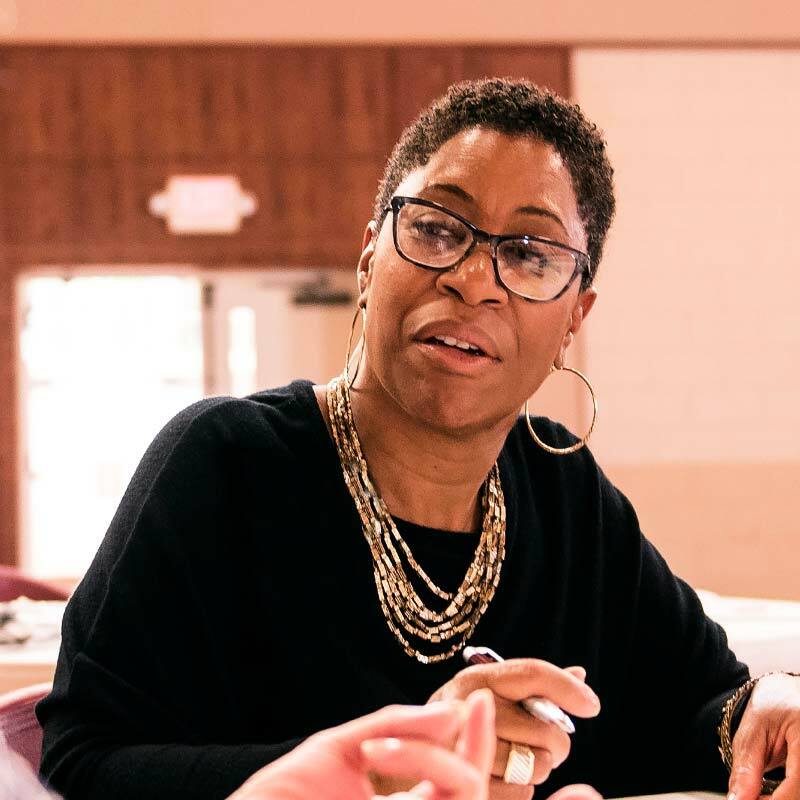 When an initial $2.5 million investment in growing social capital through ECHO grants ended in 2005, the Foundation began integrating what it had learned into its regular grantmaking practices. Moving forward, the Foundation has focused more resources on broadening and diversifying leadership and civic involvement, increasing trust across lines of difference and encouraging people to do more with others rather than for others. 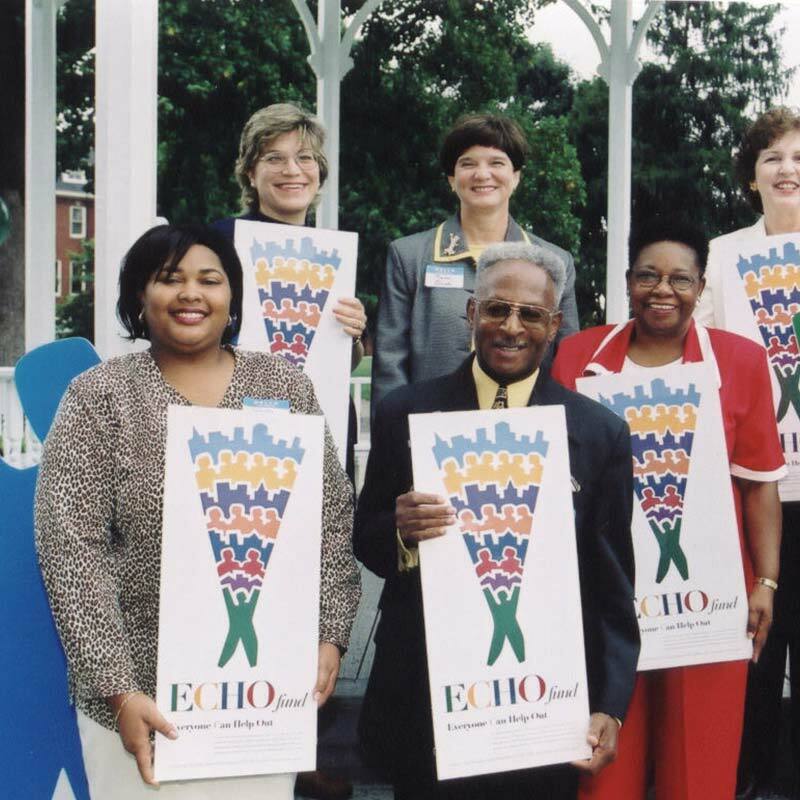 In 2001, it established annual ECHO Awards to honor social capital builders at its annual Community Luncheon. Reflecting its views on the value of diversity, inclusion and philanthropy for all, during this time the Foundation began a concerted effort to share its message with new audiences. Three new initiatives grew from this effort. The Black Philanthropy Initiative (BPI) helps people recognize their philanthropic strengths of time, talent and treasure for meaningful impact in the Black community. Youth Grantmakers in Action (YGA) engages a diverse group of youth who come together to learn more about philanthropy, gain leadership experience, and make grants to youth-directed projects that address community issues and challenges. The Women’s Fund pools financial resources to make annual grants that will improve the lives of women and girls in our community. Each of these strategic initiatives continues to add to the betterment of our diverse community today. In a much-anticipated move, the Foundation relocated to the new 751 West Fourth building at Broad and Fourth streets in September 2014. This new home in downtown Winston-Salem offered more efficient office and meeting space for Foundation staff on the second floor, with room to grow. 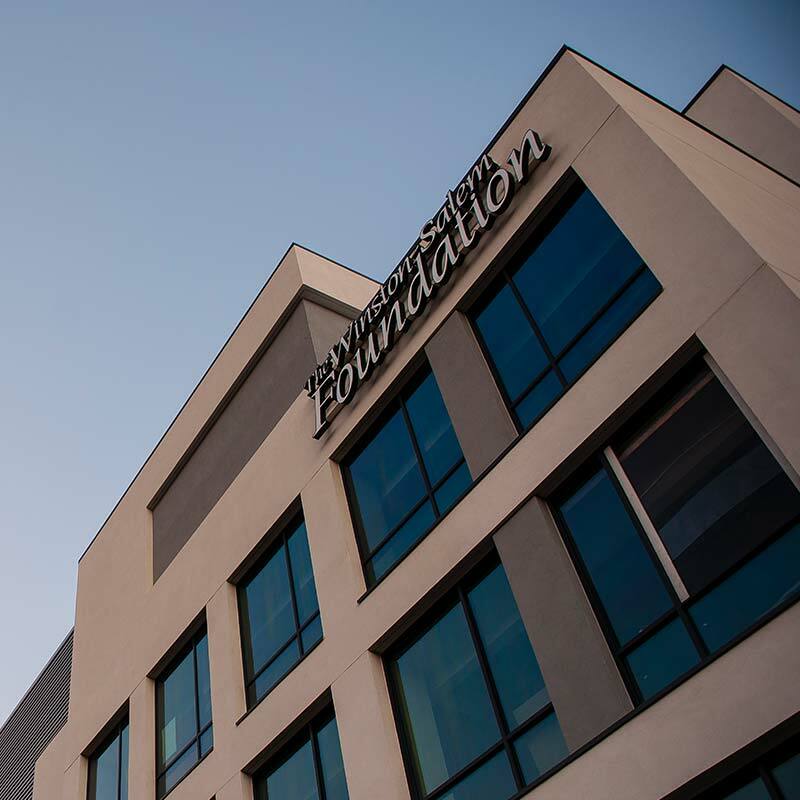 Perhaps as important, the building’s third floor features the Burress Family Center for Philanthropy, which provides much-needed gathering and conference spaces not only for the Foundation, but also for nonprofits and other community groups. It’s a valuable resource where citizens can come together to learn, network and share ideas. More than 3,000 outside community meetings have taken place in the Burress Center since its opening. 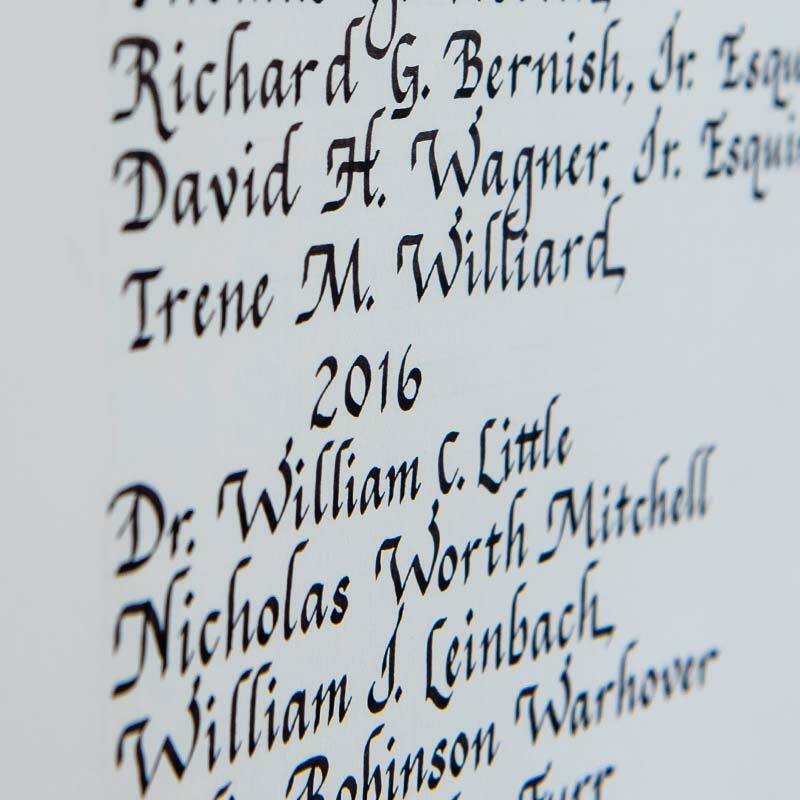 This move put the Foundation on solid footing to fulfill its mission to inspire giving and link resources to action, strengthening Forsyth County—now and forever. In the years immediately leading up to its Centennial, the Foundation took a fresh look at how it could make greater impact in Forsyth County. After evaluating community data, in late 2017 the Foundation announced two new focus areas for a portion of its community investments—Building an Inclusive Economy and Advancing Equity in Education. In 2018, after listening to and learning from hundreds of individuals across the county, the Foundation announced three priorities within each broad focus area that will guide its programmatic work in 2019. The first two responsive grant funding programs will work to address access to efficient and affordable transportation and reduce the racial wealth gap. Within this critical work, the Foundation is reaffirming its deep commitment to advance racial equity across all of its work. Learn more about how the Foundation developed the community investment priorities that will propel its service to Forsyth County into the next century. The Winston-Salem Foundation celebrates its Centennial year, grateful for the foresight of Col. Fries and his initial $1,000 investment in our community. 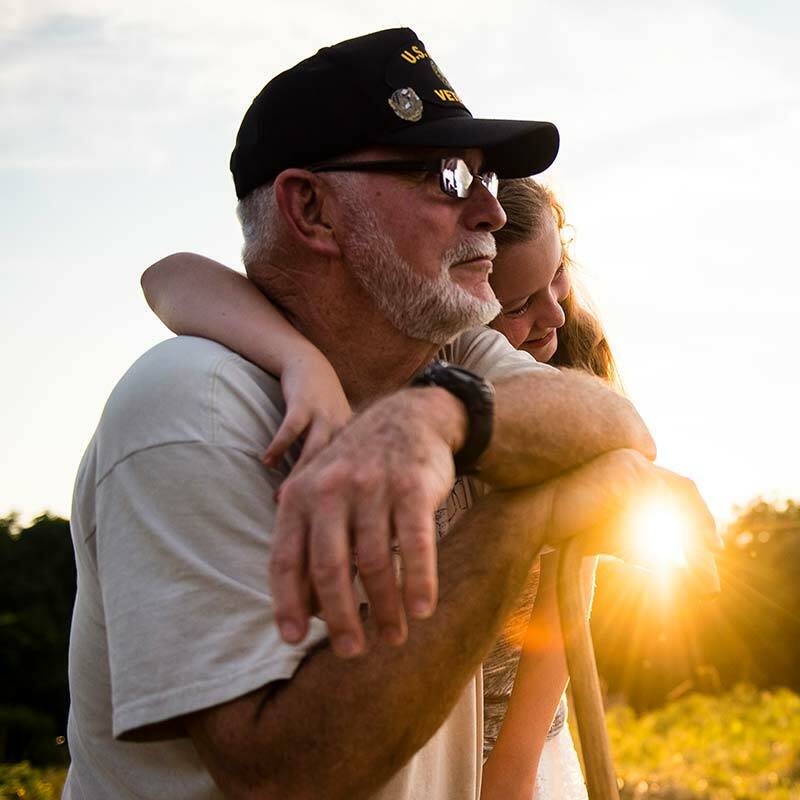 At the beginning of 2019, the Foundation managed $565 million in assets and had 1,550 charitable funds positively impacting communities in Winston-Salem, Forsyth County, and beyond. The Centennial year brings with it a new mission for the Foundation: to inspire giving and link resources to action, strengthening Forsyth County—now and forever, and new values of inclusion, accountability, and continuous learning. The Foundation’s staff and Committee are excited to unveil refreshed branding and a new website, and throughout the year will engage in Foundation and community events so that even more residents will learn about our work. In our next century of impact, we will strive to help achieve our ultimate vision for Forsyth County—to be a generous and trusting community where everyone is thriving.